To find better ways of diagnosing and treating mitochondrial diseases, scientists sift through mitochondrial DNA—and they have just started to use a very fine screen. At the University of Pennsylvania School of Medicine, researchers led by James Eberwine, Ph.D., have developed a means of sequencing the DNA of individual mitochondria. The researchers have used this method, single-mitochondrion sequencing, to detect previously indiscernible—and likely meaningful—variability in mitochondrial DNA (mtDNA). In a recent study, Dr. Eberwine and colleagues examined similarities and differences in discrete mtDNA in the same cell, as well as between cell types such as neurons and astrocytes in the brain. The investigators also assessed mtDNA mutation rates and considered how they differed between human and mouse cells. Detailed results appeared December 5 in the journal Cell Reports, in an article entitled “Pervasive Within-Mitochondrion Single-Nucleotide Variant Heteroplasmy as Revealed by Single-Mitochondrion Sequencing.” In addition to introducing a single-mitochondrion method, this article presents novel findings about mitochondrial mutational dynamics. The finding that mutations accumulate at a different rate in mice versus humans, noted Dr. Eberwine, points to one of the study’s important takeaways: When mitochondrial diseases or potential therapeutics are assessed in cell models, researchers should be sure that their models possess mutations that parallel those that occur in humans. A more general finding from the study is that DNA sequences between mitochondria within a single cell are vastly different. This knowledge will help to better illuminate the underlying mechanisms of many disorders that start with accumulated mutations in individual mitochondria and provide clues about how patients might respond to specific therapies. For instance, these data may improve diagnosis for neurological diseases, potentially allowing physicians to detect cells that could become diseased or pinpointing patients who may develop certain conditions. This is particularly likely for conditions that more commonly strike the elderly, in which mtDNA mutations have been found to accumulate with age. The process of mtDNA mutations accruing over a lifetime most likely happens somewhat differently in each person. Mitochondria, a component of cells that have their own DNA, produce energy for the body, among other functions. One mitochondrion can contain 10 or more different genomes, with hundreds to thousands of individual mitochondria residing in each cell. A number of mitochondrial diseases arise from mutations accumulating in mtDNA. For example, these mutations have been found in colorectal, ovarian, breast, bladder, kidney, lung, and pancreatic tumors. 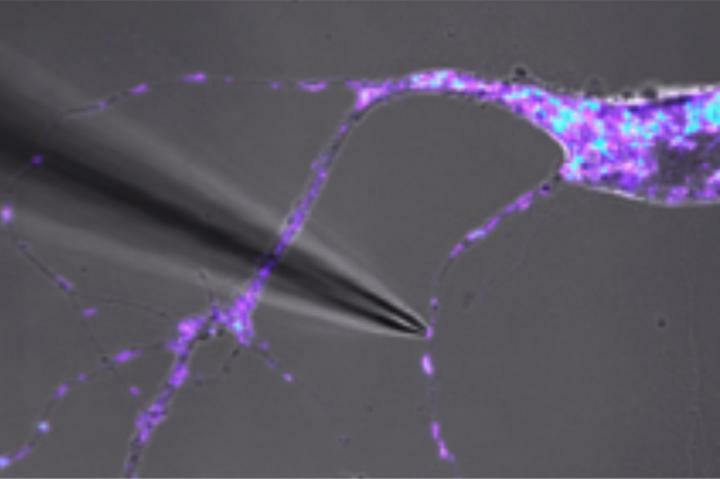 To avoid such limitations, the University of Pennsylvania team developed a method for isolation and analysis of the genomic DNA from a single mitochondrion, without loss of its spatial origin within a cell. This method allows scientists to identify the presence of variants at single-mitochondrion resolution. In the future, the researchers plan to use knowledge of mitochondrial mutational dynamics to find ways to slow the rate of mtDNA mutation accumulation and halt disease progression. “This roadmap of the location and number of mutations within the DNA of a mitochondrion and across all of a cell's mitochondria is where we need to start,” Dr. Eberwine insisted.